The band was playing a slow set and she put her arms around his neck, tangling her fingers into his hair, finding it lusciously soft and silky. His hands went around her waist, but they soon slid up her back and held her close against him. This is lovely. She smiled, breathing in his unique scent. Make the most of it. She closed her eyes and they swayed together until she felt his hands move up and cup her face. He gently raised her head. “I thought you’d gone to sleep,” he said softly. Out on the street it was very cold but it had stopped snowing. Kate pulled the collar of her coat up as they hurried along the pavement, hand-in-hand. In the square, they ran around Nelson’s Column to get out of the wind, and out of the way of other New Year revellers. She shivered, then smiled as Charlie began to rub her shoulders before putting his arms around her and holding her tight against him again. “Not long now,” she murmured. Her eyes became used to the darkness of the blackout and she saw his hands reach for her face and clasp her cheeks. Expecting him to kiss her, she felt a sharp pang of disappointment when his lips just brushed her cheek, before he broke away and launched into a very loud and tuneless rendition of Auld Lang Syne. Stretching out her arms, she found his face as he neared her. He hugged her and his lips found their way to her cheek again. His hands found her shoulders and slid underneath. Getting to their feet, they laughed. “Back to the car?” she suggested. She took a sip, feeling the whiskey slide all the way down. That felt good, she was beginning to feel her feet again. She handed the flask back and heard him drink. Reaching for her hand, he kissed the palm. She curled her fingers up to cup his cheek and turn his face towards hers, but he leaned forward to start the car. Her fingers slid across his lips and she was forced to take her hand back. Feeling frustrated and puzzled at his overly-gallant behaviour, she sat quietly beside him as he drove them home. 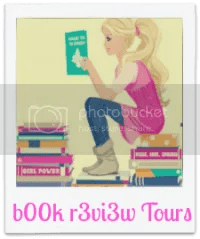 Her first novel, Only You, a contemporary romance, was published in 2014. 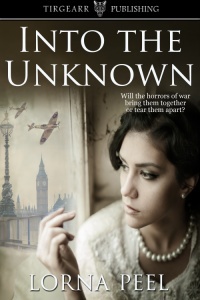 Into The Unknown, an historical novel set during WWII, will be published in May 2015. I hadn’t been encouraged to do any creative writing at school so when I was nineteen I wanted to see if I could put my imagination to good use and actually write a full length novel from start to finish. I’m glad to say that I could and I did. I then did a writing course specialising in short story writing. I enjoyed it and I was lucky enough to have one published in an Irish women’s magazine, but it made me realise that I prefer to write novels and novellas. I’m a bit of a pantser and usually I haven’t a clue where the plot is going, but as Into The Unknown was structured around World War Two I had to make an outline for my characters and plot and stick to it. It’s my ambition that one day I will make a living from my writing. 4. What is in your To Read Pile that you are dying to start or upcoming release you can’t wait for? I have quite a few books on my combined electronic and print To Read Pile. Some at the top are: Heartstone by C.J. Sansom, Jeremy Poldark by Winston Graham, Faithful Place by Tana French and The Secrets of Pain by Phil Rickman. I would love to see the Aurora Borealis. They were visible over parts of the UK and Ireland back in March but I couldn’t see anything to the north of where I live because of light pollution. I might have to go to Scandinavia to see it in all its glory. Rachel Harris was abandoned as a baby on the steps of a church-run children’s home in England and later adopted. Who was her birth mother and what were the circumstances which led her to give up her baby? Searching for someone who doesn’t want to be found seems a hopeless task until Rachel meets Matthew, a Church of England clergyman. Then the anonymous and increasingly frightening attempts to end their relationship begin. Are these actions connected to the mysterious events surrounding Rachel’s birth? Thank you for interviewing me, Elizabeth. I’m glad – Thank you for letting us know! A great post thank you. I always enjoy stories set during WWII. This one does sound interesting. Thank you for stopping by!